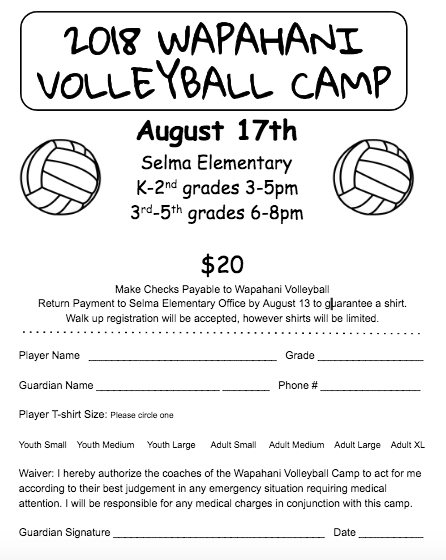 The Wapahani Volleyball team will be hosting a kids camp on August 17th at Selma Elementary School. The camp will be for grades K-2 from 3 - 5 p.m. and grades 3-5 from 6-8 p.m. Be sure to get your registration in before August 13th to guarantee a t-shirt! We look forward to seeing you there!